Who got what in Cozumel? 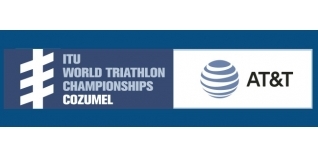 Wednesday's ITU Aquathlon World Championships in Cozumel, Mexico, saw a dominant performance from Alistair Brownlee to take the Senior Elite title, with Richard Allen taking Silver in the Under-23 event. (Find out more about that on these links: Report | Interview). Close on 600 athletes started the Age-Group Aquathlon World Championship, held over the challenging 2.5km / 1km / 2.5km run-swim-run format, something that was likely new to the vast majority of the 101 British athletes that started. Combined with hot conditions, several pieces of "it was bloody hard" feedback have been heading this way to us from Mexico! If you've ever tried the run to swim transition in race mode, you'll know just how challenging it is. So, here is our roundup of GB Age-Group medals at the ITU Aquathlon World Championships 2016. Two Gold medal winners this year, at opposite ends of the age spectrum. In her first GB Age-Group start, Natasha Sinha took Gold in F16-19. She was also the fastest British female athlete overall across all ages, and the fourth fastest athlete across all countries. Veteran Michael Smallwood from Rugby Triathlon Club has been in fine form all year. He crushed his opposition in the M70-74 category by four minutes, and now adds World Aquathlon Gold to European Championship titles this year in Aquathlon, Duathlon and Triathlon. He's going for Triathlon Gold in Cozumel too. Gordon Crawford (M50-54) is a regular in these roundups, and he took Silver this year after a Gold in Chicago 12 months ago. Alison Grinnell (F40-44) and Ted Hamilton (M65-69) both matched their Chicago Silver medals. While it didn't get him a medal, Jack Shayler (M16-19) was the fastest British Age-Grouper overall and fourth in his division. The top end of the race was dominated by Mexico, who filled seven of the fastest nine male finishing positions.